The CLF LEDwash XL is a unique, one-of-a-kind wash fixture with two LED segments. 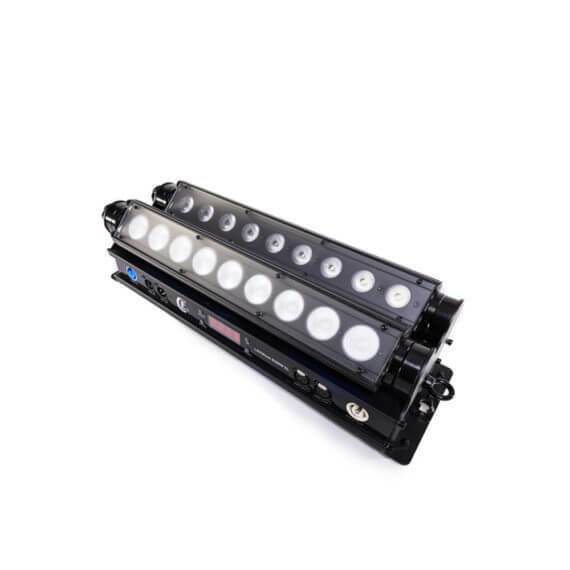 The two horizontal LED battens can be manually tilted and controlled separately. Because of the 30° and 50° lens it is possible to use the fixture as wallwash with both parts complementing each other. 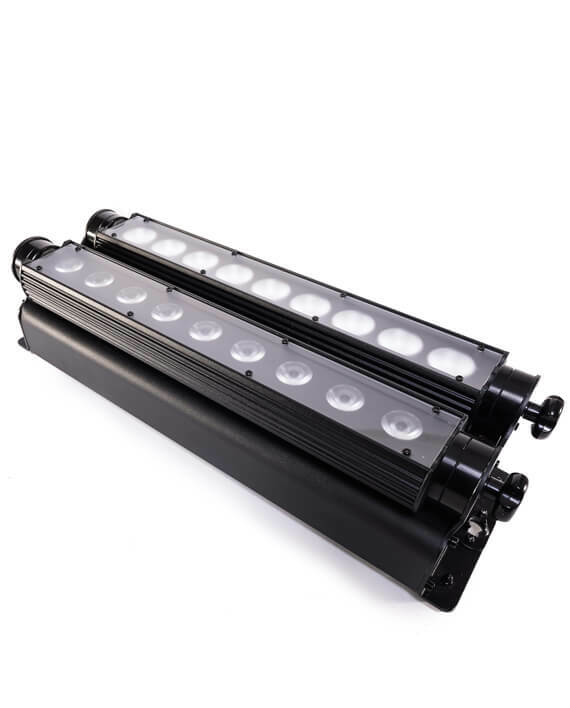 Besides that, the fixture can be used to illuminate two different surfaces simultaneously. The LEDwash XL is the perfect solution for illuminating large surfaces like walls, curtains and horizons. The technologies prevent multicolor shadows and provide deep saturated colors. The low and compact housing makes the fixture hardly noticeable. 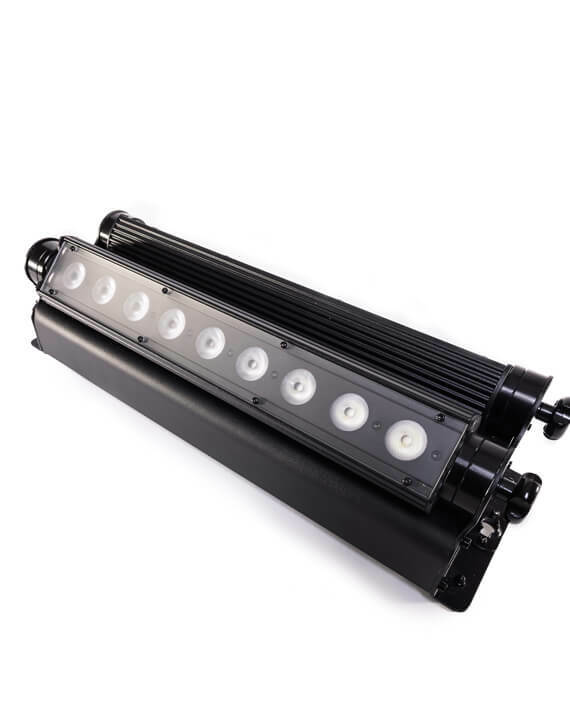 The fixture can be placed on the floor or mounted to truss structures by using the CLF quicklock system. The fixture features 18 specially selected LEDs which provide deep and intense colors. The powerful LEDs provide extremely high output and ensure ‘flicker-free’ operation for all types of TV and film use. 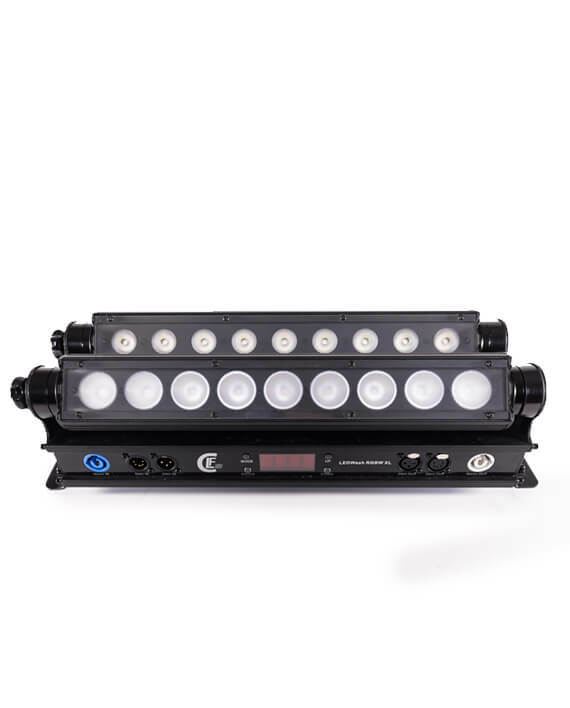 RGBW and dimming can be controlled in 7 different DMX modes or by using the on-board menu. The fixture contains both powerCON in and out and can be connected with 3-pin and 5-pin XLR.